The mic database has been getting smarter. Here is a quick tour of the new features. The TEC Foundation selects one studio and one live-performance mic annually for their prestigious TEC Award. We now list all the winners and nominees back to 2003. A few publications, notably MIX and ProSound Web, have awards of their own. MIX appears to pick “certified hit” winners after every trade show, for example. We’ve listed all of these we can find, too. And we’ll be adding these to the site on an ongoing basis. Find these award-winning microphones on the new Microphone Awards page. You’ll also see awards listed on individual mic profile pages, as shown in the Royer R-101 screenshot at right. 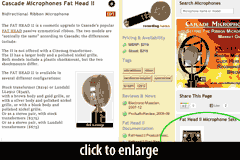 Jonesing to find the most-award-winning microphones? We’ve got that too. Head over to the microphone extremeophile page, Zeitgeist. 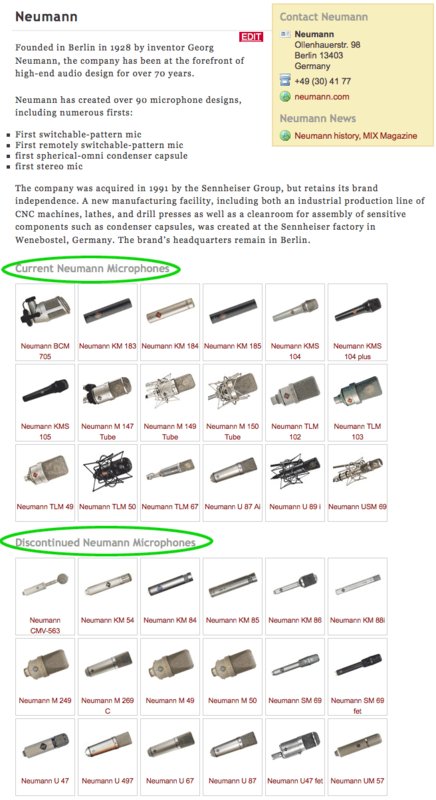 The bottom right block shows you the most awarded microphones. 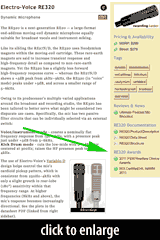 This feature came as a suggestion from Telefunken Elektroakustik’s Alan Veniscofsky. It’s a great and obvious way to distinguish a company’s current product line from discontinued products — and especially useful for companies that are constantly pushing their product development ahead with new models and designs. 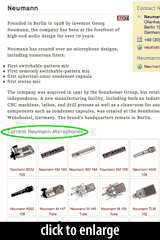 See, for example, the Telefunken Elektroakustik page, or the Neumann page. Current production models are listed in the first block, with discontinued models below. This idea came out of a conversation with MXL’s Jim Mona at NAMM. MXL introduced four new microphone bundles at that show, and I was lamenting that I had no good way to present these kits on my website. In retrospect, the idea is obvious. 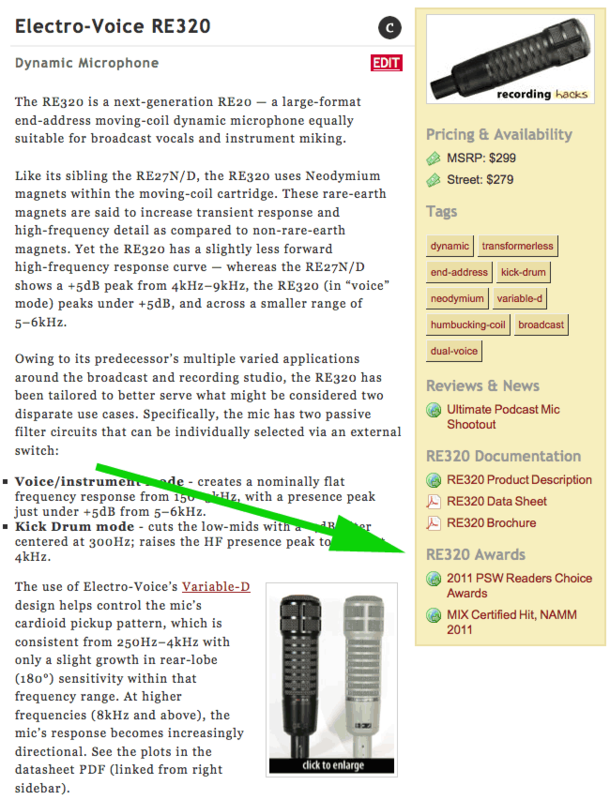 You can now find microphone sets listed on each mic manufacturer’s profile page, such as MXL‘s. Scroll down to the bottom to see the sets. Perhaps more usefully, when a microphone is part of a set, you’ll see those sets listed in the sidebar of the mic’s profile page. 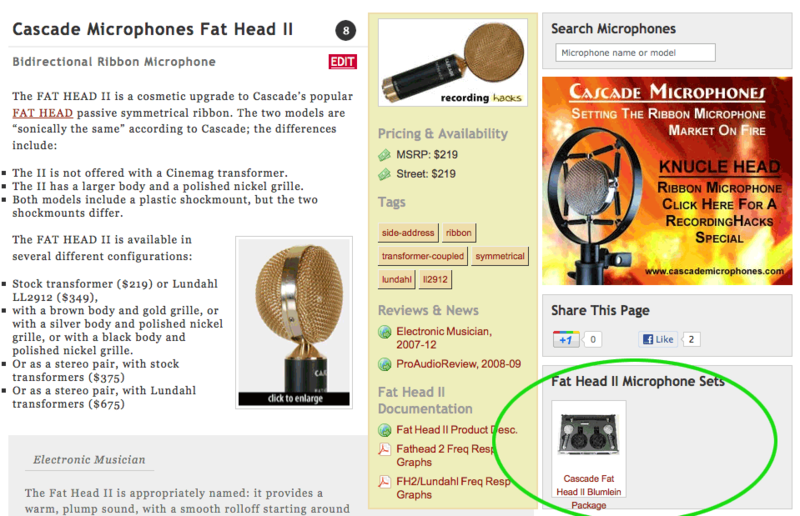 For example, see the Cascade Fat Head II. When you’re reading about this mic, you’d probably appreciate knowing that it is available in a Blumlein kit with a stereo bar and your choice of both finish colors and output transformers. All that information is now one click away. I appreciate your hard work on this. It means a good deal to the hobbyist. Cool beans. Love the additional functionality and info. Fantastic, all these new features, Matt. You’ve done an extraordinary job! This site is getting better every week!